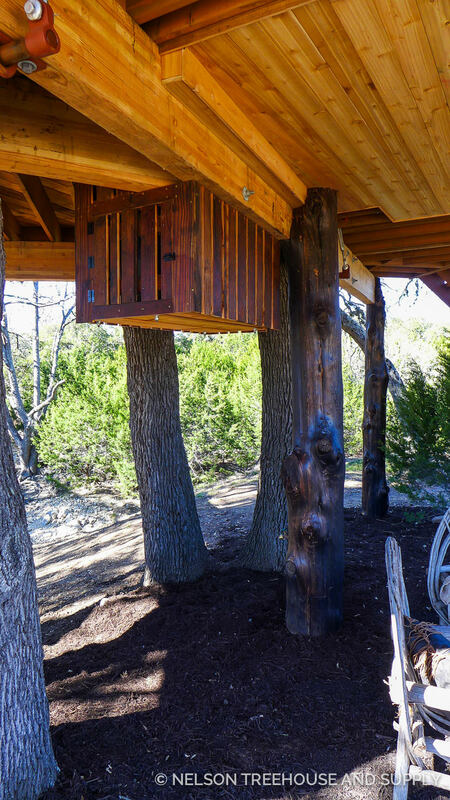 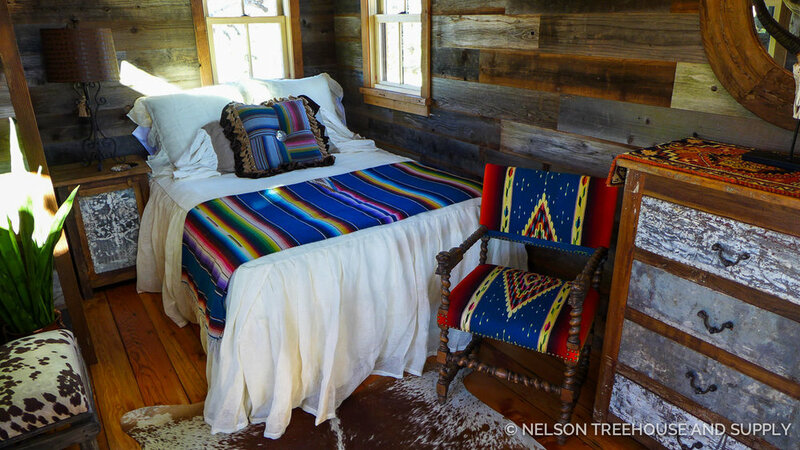 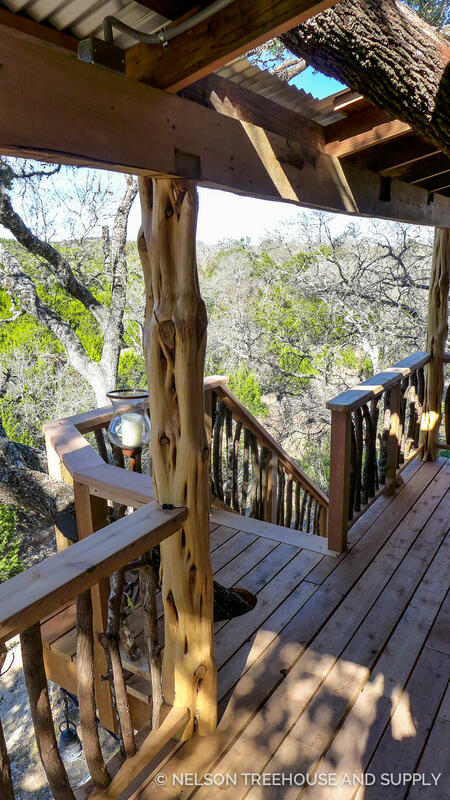 The crew had a rootin' tootin' time building this treehouse for Jennifer in Texas Hill Country! 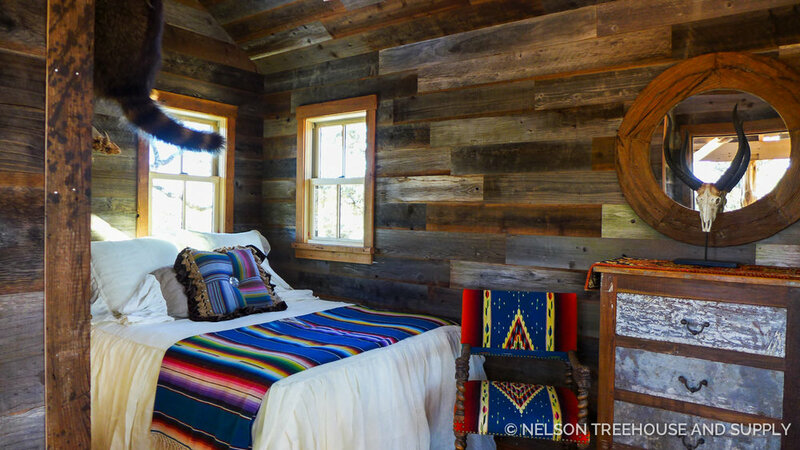 The structure stays close to its Hill Country roots with locally-sourced reclaimed wood, rough-sawn and weathered textures, and a capacious size. 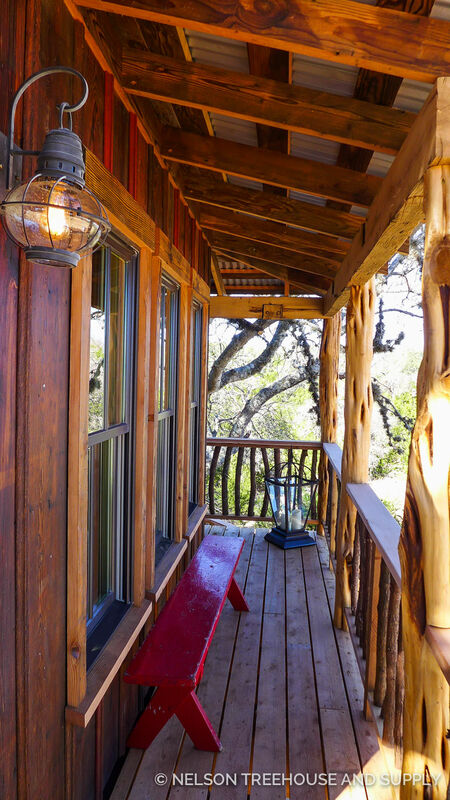 Tucked in the branches of a single live oak tree, this 297-square-foot treehouse boasts ample deck space, a living room, floor window (to spot wildlife below), bathroom, bedroom, daybed nook, and kitchenette. 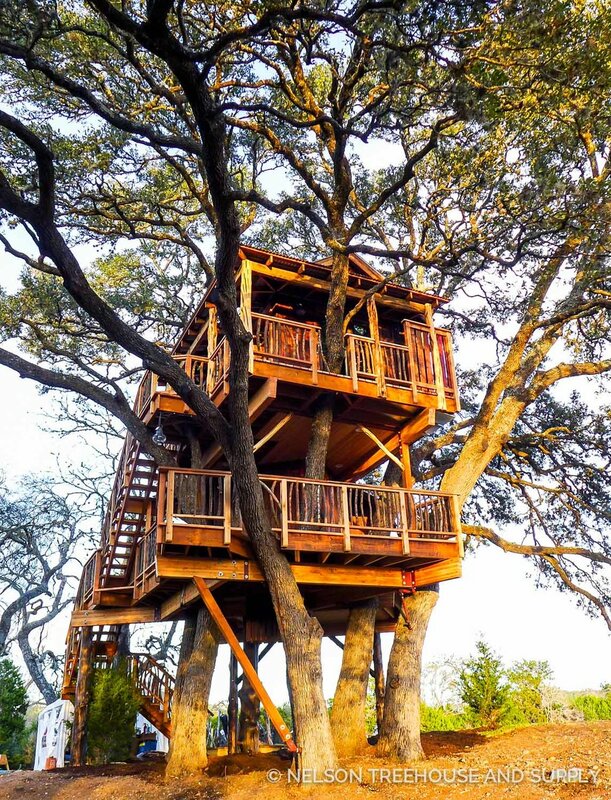 The first platform nests 12 feet off the ground, while the second soars at a lofty 21 feet. 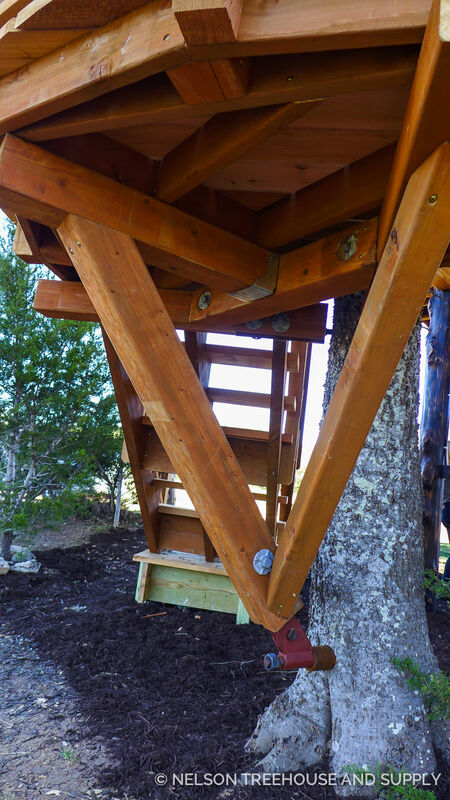 The crew used logs made of Pacific Northwest cedar and Texas mountain cedar as posts to provide additional structural support; they give a natural effect by mimicking tree trunks. 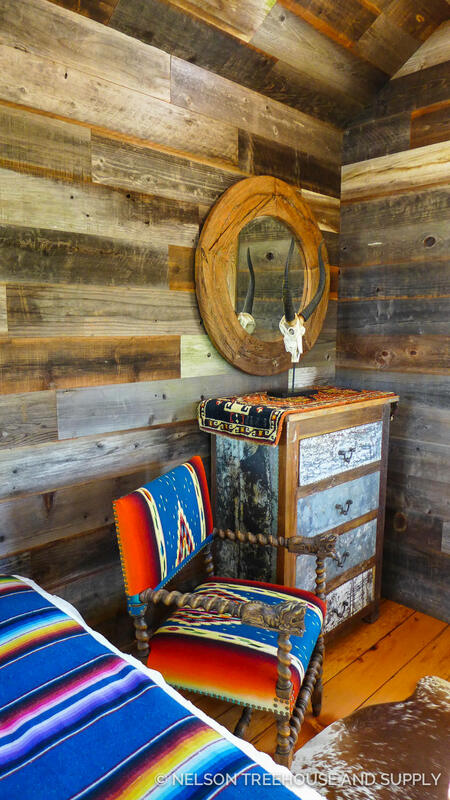 For a final Wild West touch, the crew built a horse hitching post at ground level. 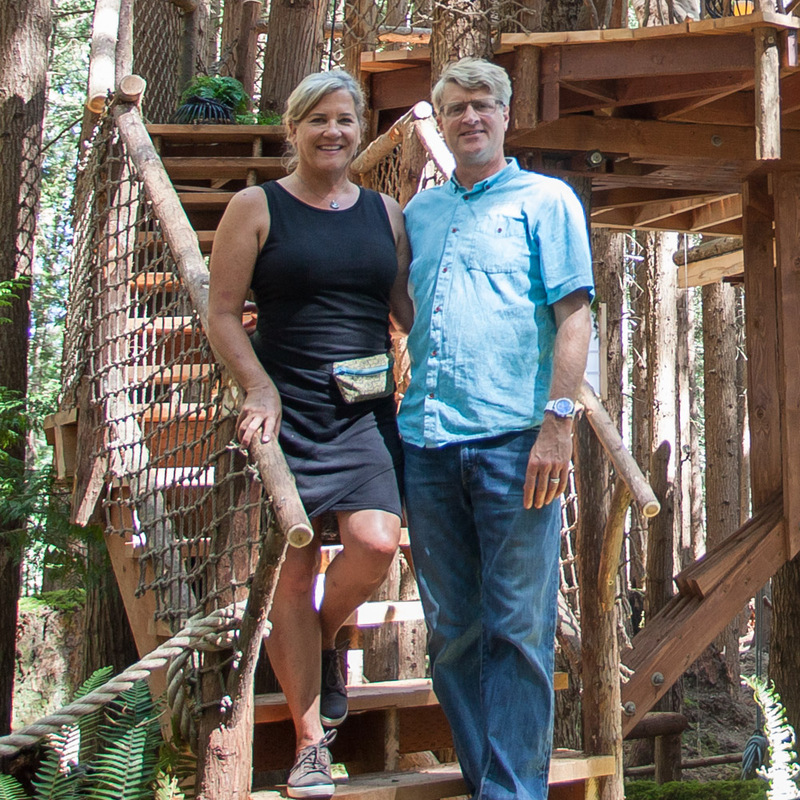 Thanks for a terrific build, Jennifer! 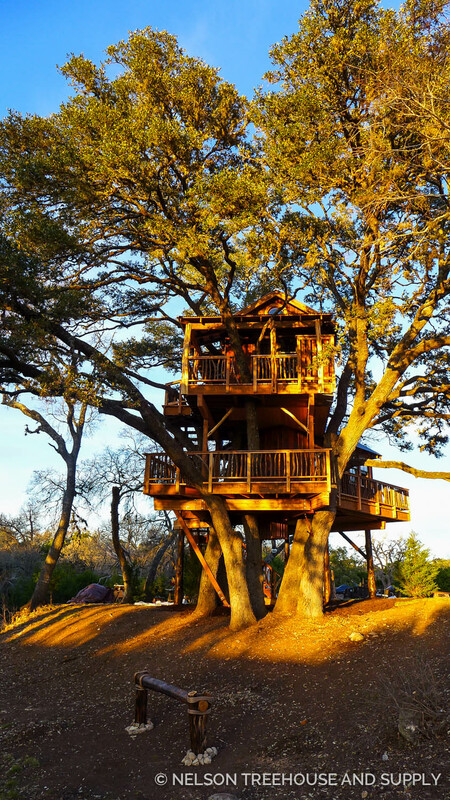 We wish you a lifetime of happiness up in the trees.